Added bacon and some other foods/blocks. This mod is also kinda a learning experience for me. There are all kinds of foods, and there are blocks of bacon you can place. You can also cook a raw block of bacon. 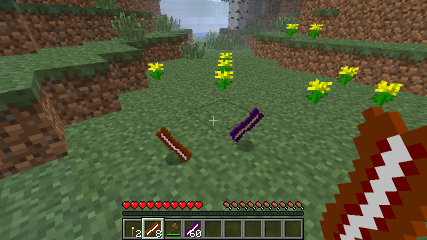 The bacon drops from pigs and the nether bacon drops from zombie pigmen. When you eat the cooked nether bacon, it damages you for 2 hearts while giving 20 seconds of fire resist.